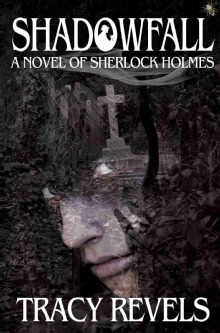 Tracy Revel has produced a book that will be appreciated by Holmes fans and the fantasy fiction community. And if you’re a fan of both, you are definitely in for a treat. The problem with reviewing a mystery book is that you never know if you are giving away too much by talking about it. Let’s see if I can do this without saying too much. It is Holmes and Watson. Defiantly! There is no doubt that this is the London of the late 19th century. It is also definite that you’ve never seen a Holmes and Watson like this before. Holmes has powers from his life in the shadows. An existence Watson never dreamed of until he finds his good friend in conversation with the Queen of the Fairies. There may be formerly unknown reasons for Holmes’s great abilities. Watson has much to contend with, including the theft of his immortal soul before the story is over. This book is a quick, light read and is very entertaining. While it starts with the expectation of a dark journey it never goes too deeply to that side. Even at the end Holmes, now with his true nature revealed, is still Holmes and Watson (who should be frightened and running for the hills) is still Watson. In the midst of fantasy, they really haven’t changed from the friends we know. This entry was posted in Holmes, Watson. Bookmark the permalink.